Paul Albarian & Associates are highly rated jewelry dealers on Yelp! Our high Yelp! score means we’re the best choice out of all the jewelry dealers and sellers on Yelp! We have worked hard to build a trustworthy and reputable business and our customers on Yelp! would agree. With a 5-star rating on Yelp!, we are one of the top gold dealers in and around the Burbank area. We also have an A+ Rating with the Better Business Bureau (BBB). Paul Albarian & Associates buy and sell jewelry, gold, silver, rare coins, and precious metals. We specialize in estate sales and converting unused jewelry to cash. We serve Burbank, Glendale, Pasadena, Los Angeles, and the San Fernando Valley. Call us at (818) 827-7152 to schedule an appointment. Many people have jewelry, rare coins, and precious metals but do not know to whom to take them. Selling valuables can be difficult, especially if you don’t know whether dealers are trying to offer a cheaper price than your item is worth. Know the true worth of your items by coming to Paul Albarian; with his experience and honest appraisals, he can offer you a fair price for your items. Many people don’t sell their old valuables, passing the burden on to their children. Family heirlooms are often passed down from generation to generation, but are likely to be put away in a drawer, rather than used or worn. Rather than storing away valuables, sell them for cash that you can use to cover your other expenses. At Paul Albarian & Associates, we will give you a free, no obligation verbal appraisal on your jewelry, rare coins, gold, and other precious metals. Being informed and aware about the value of your items is important. That way, you can distinguish which jewelry dealers are paying you less than your item’s worth. Paul Albarian & Associates care about our clients and therefore offer a free, no obligation appraisal for your valuables. Bring your valuables in and we will assess how much money you can get for your items. At Paul Albarian & Associates you are assured that others on Yelp! have done their homework and have proven us number one. Our customers have provided thorough, honest reviews about their experience with us. Time and time again they have pointed out our strengths, highlighting our fair prices, honesty, and helpful advice. 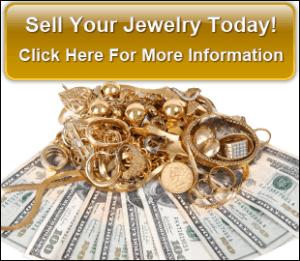 Have unwanted jewelry you’re looking to sell? We pay cash! We pay cash for unwanted jewelry. At Paul Albarian & Associates, we will beat any verifiable price. If you have unwanted jewelry you’re looking to sell, bring it into our office and we will provide you an honest appraisal. Paul Albarian will give you a price that exceeds all of your other offers. We provide honest and fair customer service. We value our customers and strive to provide them with the best customer service possible. We provide a comfortable environment for our clients and answer any questions they may have. We want to make sure our customers feel confident about the buying/selling process and will help them through it step by step. Customer satisfaction is our highest priority. Customers are what keep our business going so we want to make sure that they are satisfied with our services. We offer honest advice and will let you know whether your unwanted jewelry is worth selling or not. With the best prices in town, we make sure you get the right value for your items. Give us a call to schedule an appointment today. Call us to schedule a free, no obligation appraisal for your valuables. Paul Albarian, with over 24 years of experience and knowledge in this industry, will carefully examine your items and let you know how much money he will give you. With his friendly and welcoming personality, you can feel comfortable and confident in doing business with him. At Paul Albarian & Associates, we care about you, and have a reputation to uphold to give quality service and fair prices. As a reputable and well-established business, we work hard to maintain our high quality standards. We focus on providing our customers with honest and helpful advice when it comes to buying and/or selling unwanted jewelry. Many gold dealers start up businesses and have no experience. Starting a business can be easy, knowing how to maintain it and keep it successful is the challenging part. Many gold dealers out there aren’t familiar with the business and simply go into it to make some extra money. Finding a gold dealer you can trust is very important. You want to make sure you are getting the best offer for your item(s). Can you trust an inexperienced gold dealer to answer your questions accurately? Oftentimes, the customer is unaware of how the business works. Going to an inexperienced gold dealer can create further confusion if you don’t get the answers you’re looking for. Seek out a qualified and licensed gold dealer to make sure you are comfortable about selling or buying your items. We has over 26 years of experience in the industry. Having multiple years of experience, Paul Albarian has helped hundreds of customers sell or buy valuables. Go with a gold dealer you can trust and who you know has a lot of experience in this field – you’ll be glad you did! We will beat any verifiable price for gold, treating you fairly and with kindness. Providing our customers with satisfactory service is of utmost importance to us. At Paul Albarian & Associates, we treat each and every one of our clients with fairness and ensure that they leave our office happy and satisfied. By receiving top dollar on your gold, you can be confident that you are getting a great deal for your valuables. We post our quoted prices directly on our website. Our website provides daily prices for gold which are updated every five minutes. Our customers can get an idea of the value of their precious metal, and keep track of how much the market is fluctuating on a regular basis. You deserve honest treatment and top dollar. We care about our customers and will provide them with a straightforward appraisal on what their items are worth. As a reputable business, we are recognized for offering top dollar for your valuables. Bring them in and we can appraise your items, for free, with no obligation. At Paul Albarian & Associates, you will be treated with kindness and courtesy. As our customer, you can expect nothing but the best. Our friendly and welcoming personality, our comfortable and professional environment, and our years of knowledge and experience has made many satisfied customers. Stop by and see for yourself what all the talk is about. We have a 5-star rating with Yelp! and an A+ rating with the Better Business Bureau (BBB). There is no such thing as a stupid question – we’re happy to help! Understanding the market for gold can be difficult and confusing, but we’re here to help you. We strive to ensure that our clients understand how this business works and we thoroughly explain to them everything they need to know about the buying/selling process. If you have any questions, please don’t hesitate to ask us. Seeking out jewelry dealers with integrity is important. Finding a jewelry dealer with integrity can save you a lot of time, money and stress, especially when dealing with valuable item or personal possessions. Here are a few tips to consider when searching for an respected jewelry dealer. Does your jewelry dealer have a valid license? In California, jewelry dealers are required to have a license, but not all of them do. A licensed jewelry dealer protects consumers by taking steps to prevent theft and fraud. Ask your prospective jewelry dealer if they have a license – it should be on display and they should readily present it to you. Be aware of how gold is purchased. There are plenty of ads for jewelry dealers willing to pay you a quick sum when you send them your valuables. But did you know it is illegal in California and most states within the USA for jewelry dealers to purchase valuables through the mail? Also, be aware of whether they are weighing your items in grams, avoirdupois grams, pennyweights, or troy ounces. Each unit is slightly different, and some jewelry dealers use this to imply they are offering more, when actually they are offering less. Be careful that the jewelry dealer you choose is abiding by the relevant laws and regulations. Do your research to find a suitable jewelry dealer. The Internet provides plenty of resources to check whether a jewelry dealer is reputable. Paul Albarian & Associates have over 24 years of experience and are proud of our reputation. Give us a call or stop by our office, and we’ll be happy to talk about the steps we take to be your trustworthy jewelry dealer. 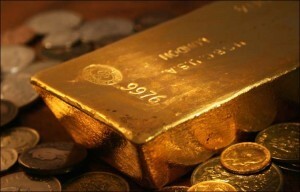 We understand we are one of many who buy and sell gold in Southern California. 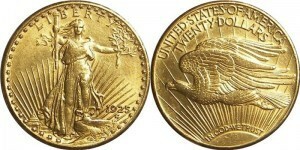 What sets us apart from other gold dealers in Southern California? We have been in the gold, coin, and jewelry business in the Burbank California area for over 24 years, we have gained our customers’ trust through honest, excellent prices as well as friendly customer service. We love working with clients and helping them get excellent prices for their valuables. We respect our competition, and work hard for your business with customer service and excellent prices. We take pride in providing our customers with a great experience. People often feel skeptical when it comes to finding a trustworthy gold dealer and we work hard to change their perspective on gold dealers. Through excellent prices and professional advice, we have maintained a respectable business and loyal customers along the way. We will beat any verifiable price in the nation. Shopping around to find excellent prices for your valuables? At Paul Albarian & Associates, we offer competitive prices and will beat any other price offering that comes your way. Bring in your item and we will carefully examine it and provide you with excellent appraisals of its value. We are very knowledgeable about the market value of gold and consistently keep up with market fluctuations, therefore you can rest assured in knowing you are getting the best prices in town for your gold, jewelry, and coins. We have been doing business in Burbank, CA for over 24 years. As a local business in Burbank, we make our customers feel right at home by providing them with excellent prices on their valuables as well as an overall pleasant and comfortable experience. You can depend on us to provide you with helpful insight about your valuables and about the market value of gold, in general. Feel confident and comfortable in selling your valuables to someone you can trust today. We will give you a free appraisal on your unwanted jewelry and other potentially valuable items. We offer free appraisals for your items. By examining your items, we can determine the value your item will sell for and of what we can pay for it. Through years of experience, you can trust that we will offer a professional, honest, and accurate appraisal. Come in today for a free appraisal on your items. Come by with your items and we can offer you a free appraisal. However, if you do choose to sell your items to us, we can offer you cash on the spot. We have worked with many clients throughout the years and they can confirm that we provide fair and honest prices for your valuables. Our customers say great things about us on Yelp! and we have an A+ rating with the Better Business Bureau. Having over 24 years of professional experience in buying unwanted jewelry, we have built a reputable and trustworthy reputation in our business. We are very knowledgeable and up to date about the market value of precious metals and jewelry and can provide you with accurate information about your items. We will guide you step-by-step on the selling process so you can feel comfortable and informed about your decision to sell your valuables. Have precious metals you’re looking to sell? We pay fair prices! We pay fair prices for precious metals – we help you meet your financial goals. These days it is very difficult to live within your monthly income. In need of extra cash? Selling your unwanted precious metals can help you get the cash you need to pay off your expenses. Clean out the unused precious metals from your drawers and bring them over to Paul Albarian. After all, you’ll never know the true worth of your precious metals without getting an appraisal from an experienced and professional precious metals dealer. Many people have valuable precious metals around their home gathering dust. Whether it was a gift or personally purchased, or some jewelry gathing dust in the drawers never to be worn again – If you happen to have any precious metals that you no longer want, you can easily turn it into cash. Many people procrastinate because they don’t know where to sell their precious metals. With so many dealers claiming to offer you the best prices for your precious metals, it’s easy to feel uncertain as to who is really going to give you the best price. Many people are hesitant to sell their precious metals because they don’t know where or who to turn to. At Paul Albarian & Associates, we offer competitive prices for your precious metals and as a reputable precious metals dealer, you can rest assured that you will receive an honest offer for your valuables. Paul Albarian & Associates, LLC has a five-star rating on Yelp! and an A+ rating with the Better Business Bureau. We believe in conducting honest business and our reviews reflect that. With many satisfied customers, we maintain a reputable and trustworthy business. Having over 24 years of experience as a qualified and licensed precious metals dealer, you can expect professional advice and services. Come in for a free verbal appraisal on your precious metals. Want to know how much your precious metals is worth? We can offer you a free, no obligation appraisal. We will carefully examine your precious metals and provide you with an accurate appraisal. If you decide to sell your precious metals to us, you can walk away with cash that very same day. We buy estate jewelry at competitive prices. te jewelry, we can offer you competitive prices for your valuables. Have the peace of mind in knowing that you’re receiving competitive prices by coming to Paul Albarian & Associates. Have you accumulated jewelry from relatives who have passed? Family heirlooms are often passed down from one family member to another. If you have different types of jewelry in your possession and don’t know what to do with them, we can help by paying you cash for your items. Do you have old jewelry that you would like to get rid of, and buy something new? Out with the old, in with the new. If you have outdated jewelry that doesn’t fit your style, sell it for cash so you can have money to buy the things you’ll actually want to wear. Selling estate jewelry, can provide you with an extra income. We buy estate jewelry at competitive prices. Our customers on Yelp! said we’re the best in town. We’ve worked with clients for over 24 years and have provided them with excellent customer service – just check out our Yelp! reviews. 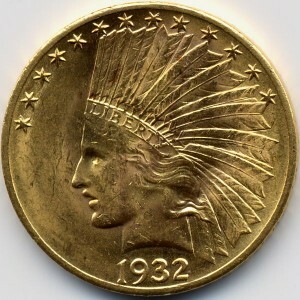 We purchase gold, silver, platinum and palladium items. With a a Five Star satisfactory rating on Yelp! and a A+ Rating with the Better Business Bureau. You can rest assured that you will be in good hands. We can help you sell estate jewelry, and will buy it at competitive prices. At Paul Albarian & Associates, we will beat any verifiable price. As an honest and reputable business, we will offer a fair price for your jewelry items. If you have estate jewelry you no longer want, come in for a free verbal appraisal and find out how much your items are worth. Do you have damaged jewelry you no longer want? Damaged jewelry just adds extra clutter in your drawers. Rather than holding onto items you can no longer wear, consider selling them to Paul Albarian. With over 24 years of experience in this industry, Paul can offer you helpful advice and a competitive price for your unwanted items. People used to throw away damaged jewelry because they thought it was worthless. Why throw damaged jewelry away when you can make extra cash off of them? You’ll never know the true worth of your valuables until you have them appraised by a licensed gold dealer. Don’t simply throw away your damaged jewelry; get them appraised – you may be surprised by how valuable they actually are. Even damaged jewelry may be worth hundreds of dollars! Precious metals, especially gold, are worth quite a bit nowadays, averaging over $1,000/oz. 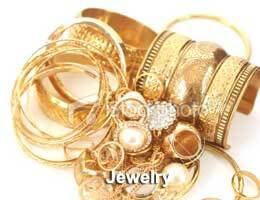 For damaged jewelry, the metal can often be salvaged. Before you decide to toss away your damaged jewelry, have it appraised and find out what it’s true worth is. We buy damaged jewelry, watches, and diamonds. If you have any new or damaged gold jewelry, diamonds, or watches in your possession, bring it to Paul Albarian and have him assess how much it’ll be worth. Paul Albarian provides honest and accurate prices for your items, and there is no obligation to sell if you do not want to. We can give you cash or store credit for your item for a piece of jewelry that you may like better. There’s no easier way to make some extra cash than to sell items you no longer want or wear. By bringing your items to Paul Albarian, you can be confident in knowing that you are getting a great price for your belongings. We have new and estate jewelry pieces that you may be interested in exchanging for your valuables.